Below are our 2017 participants. A Silver Breeze is an elegant open concept boutique that offers shopping in a luxury environment without the luxury prices. We have a friendly knowledgeable staff to help pick out the perfect gift whether it be the sparkle of SWAROVSKI or the uniqueness of a handcrafted piece by ED LEVIN or SARATOGA JEWELS. Free $5 gift certificate with $50 purchase and free $10 gift certificate with a $100 purchase. A magical and unique day spa located in the heart of downtown Saratoga Springs, Saratgoa Botanicals's atmosphere blends down home charm and Adirondack whimsy. Spa service and product offerings are organic and plant-based. Service offerings include massage, skin care, body treatments, waxing, spray tanning, acupuncture, naturopathic and energy healing. All spa services are tailored to suit guests' needs. Custom blended botanical ingredients are the keystone of the spa's products and service offerings. Products are manufactured in small batches on site in the spa's in-house lab. Saratoga Botanicals and its sister brand Spa City Organics, have been proudly manufacturing and offering trusted organic health and beauty products since 2013. *Discounts do not apply to services, gift cards, or jewelry. Deals cannot be combined with other offers or coupons. Spa Week, Spa Finder, Spa Wish gift cards may not be used for purchases. *Services must be same or similar cost when combining different spa service options. Services may not be purchased with Spa Week, Spa Finder, Spa Wish gift cards. *Gift cards may not be purchased with a Spa Gift Card, Spa Week, Spa Finder or Spa Wish gift cards. FREE service offering is for a 30 minute Botanicals Signature Facial Express or a 30 minute Swedish Massage. Free service must be used within in one calendar year of purchase. We love the Equestrian Lifestyle and Ski fashion at Saratoga Saddlery. Find a great selection of outerwear and ski wear for women, men and children. We have a large selection of rain boots including brands like Hunter, Le Chameau, Joules and DAV wellies. 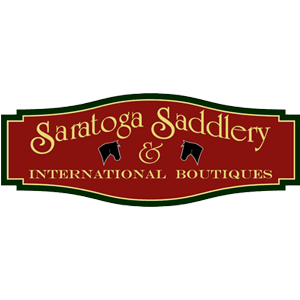 Saratoga Saddlery is known for their selection of luxury Leather and fur jackets for men and women. You will find fur coats Made in Italy by Gimo, Artico, Roncarati and by Leonardo Gorsky of Canada. As an outdoor enthusiast you can stay dry and comfortable in our very own Outback Survival Gear rain jackets and wax dusters. Check out our new edition of the Town and Country boots! Germany, Parajumper, Geiger, Dale of Norway, Horze, Poin Zero, Artico Fur. In our tack shop, you will find quality riding apparel for all your riding needs by Pikeur, Ariat, Horze, Charles Owen, Troxel and GPA Helmets. Saratoga Saddlery specializes in Polo Equipment for all Polo Players. 480 Broadway L-10, Saratoga Springs- Under the Hungry Spot Cafe! 6-7a: 50% off of All Vinyl, T-Shirts, Hats, & Music Socks! 7-8 a: 40% off of All Vinyl, T-Shirts, Hats, & Music Socks! 8-9a: 30% off of All Vinyl, T-Shirts, Hats, & Music Socks! 9a-7p: 20% off of All Vinyl, T-Shirts, Hats, & Music Socks! Saratoga Springs Float Spa is a unique wellness facility that offers medical massage, energy medicine, nutrition therapy and most recently introduced Saratoga Springs to float therapy. Float therapy allows one to float effortlessly in a tank filled with epsom salt saturated water. People use the tank for a number of reasons including stress reduction, detox, depression, athletic assistance, insomnia and injury prevention/recovery. The Saratoga Day Spa is a full service Salon and Spa. We are located in the heart of Saratoga, overlooking beautiful Broadway with our floor to ceiling windows. At The Saratoga Day Spa, we not only offer facials, advanced facials, waxing, massage, makeup application, and a full-service hair salon, we also offer Holistic Health Services, Reiki, and Energy Healing. We are all NYS Certified practitioners who absolutely love what we do. We offer something for everyone, including couple's facials and massage in the same room! Let us take care of you! *Sale includes gift certificates for services only, not products. Stephanie Anne’s Shoes offers a unique experience not only in location but in our atmosphere and inventory. Located at 1 Phila St. we offer a little NYC loft vibe to Saratoga! A hidden gem and the only dedicated shoe store in town. Come in for a relaxed, customer focused shopping experience. We pride ourselves on individualized service and fun! A rock shop like no other! HUGE selection of minerals, crystals and tumbled stones…but WAIT! We are also the most eclectic gift store in Saratoga. 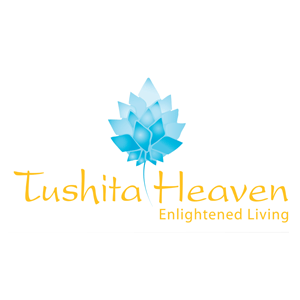 If you shop for the person who has everything, or need something to soothe your spirit, Tushita Heaven is the answer: jewelry, books, candies, incense, statuary, singing bowls, décor and more. Great Art: paintings, prints, photographs. Great Gifts: Wood Wick, Willow Tree, Flat bottles, Wine Racks, Locally Crafted Goods and More. Always a warm welcome, locally owned, & friendly shopping atmosphere. Free parking garage behind our store. Frivolous Boutique opened in June of 2005 offering women’s and children’s clothing and accessories. 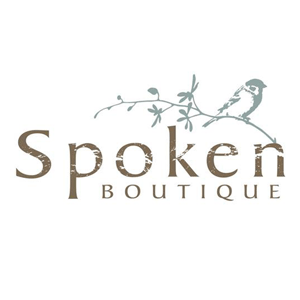 Now celebrating our 11th year anniversary we have grown into a boutique department store adding bath and body, quirky and sentimental gifts, jewelry, lingerie, holiday items, cards, and much more! We are located at 385 Broadway in the center of Saratoga Springs. Located in downtown Saratoga Springs, La Sartoria specializes in Italian luxury. They are purveyors of the finest in men’s and women’s apparel, including tuxedo rental and custom, Italian-made clothing. They also sell accessories, gifts and more. La Sartoria of Saratoga is a multi-brand boutique clothing store. Highly regarded for their superior craftsmanship and attention to detail, they are the Capital Region’s custom clothier and tailoring company, providing fine tailored and custom suiting to best meet the sartorial needs of their clientele. Large Assortment of capes, dresses and more - $99.00 or less! Wide variety of accessories 25-50% off! Select Men's Sport Coats and Suits on sale: $159.00-$199.00! Stop in for additional hidden goodies. The owner/designer is Sarah Maynard. Their goal is to provide quality jewelry in a friendly, low pressure environment. Much of the jewelry is made by Sarah, and she will also make custom jewelry to match special outfits, a wedding gown or any wedding party color scheme. Their store carries a wide selection of jewelry for all ages and styles, gifts, scarves and other apparel. Raina’s is also globally conscience by providing fair trade items that benefit widows and orphans in Kenya, Africa through their nonprofit ministry “The Hands and Feet of Hope”. All proceeds from Raina’s Jewelry are invested in efforts to alleviate poverty through clean water, education, and community development. Raina’s is celebrating 8 years in business!